Nat Hentoff is one of America's most passionate and prominent writers about civil liberties and civil rights. In Living the Bill of Rights, he has taken what is too often thought of as an abstract issue and enlivened it by focusing on representative individuals for whom the Constitution is a vital part of life. 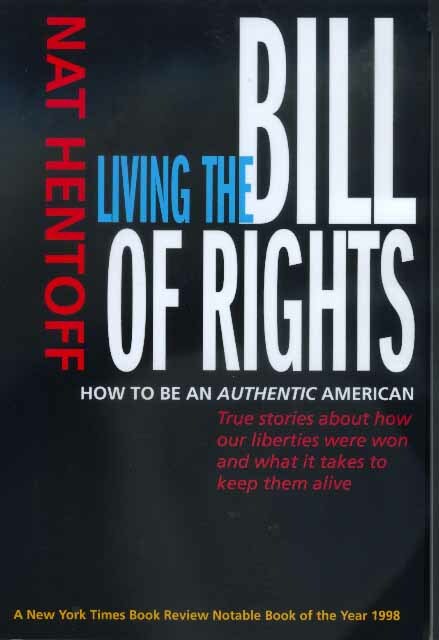 As the late Supreme Court Justice William Brennan told Hentoff, Americans need to know how "American liberties were won—and what it takes to keep them alive." With characteristic eloquence, Hentoff covers the full range of American life in these inspiring profiles and stories about public and private heroes—Supreme Court Justices William Brennan and William O. Douglas, Dr. Kenneth Clark, and students, teachers, lawyers, and others who challenge assaults on the Bill of Rights. Nat Hentoff is the author of many articles and books about jazz, politics, and education, including Free Speech for Me—But Not for Thee (1992). His syndicated column, "Sweet Land of Liberty," appears in the Washington Post and more than two hundred other newspapers, and he is a weekly contributor to the Village Voice. He lives in New York City.